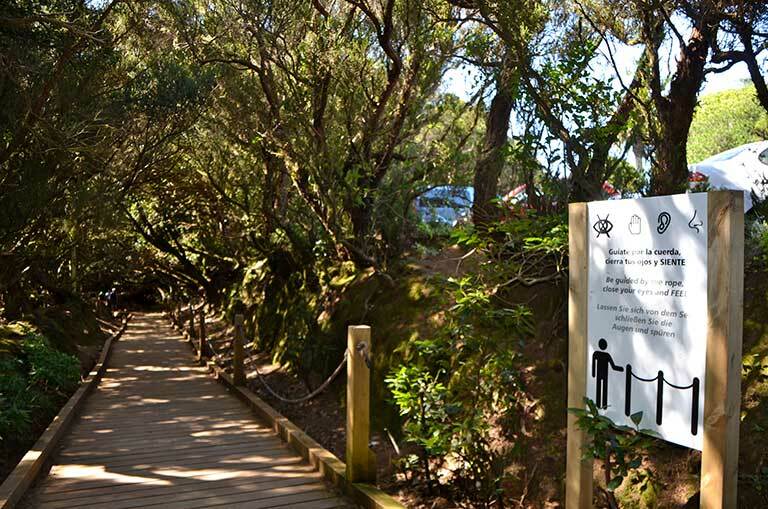 The Parque Rural de Anaga (Anaga Rural Park), in addition to the extraordinary ecological value of its evergreen forests is home to a great many villages, harmoniously adapted over the centuries to the countryside and inhabited by a small number of residents devoted to farming and other traditional activities. 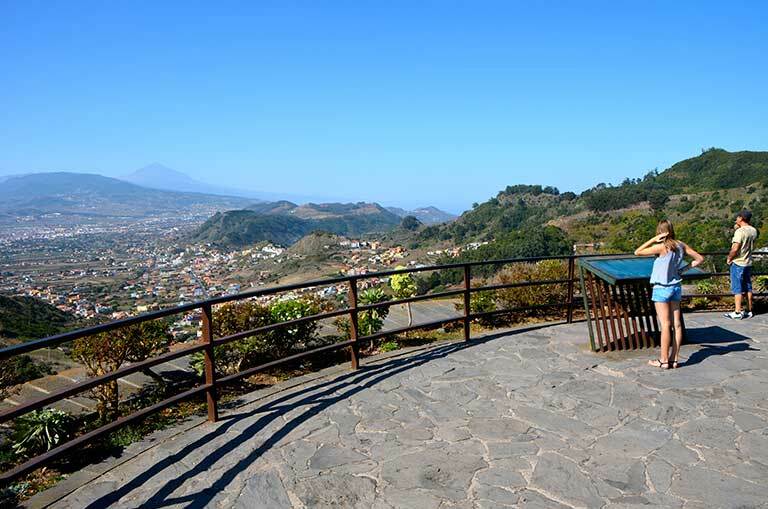 The Jardina viewpoint gives you spectacular views over the La Laguna lowlands, formerly a broad lake, and of all of the city of San Cristóbal de la Laguna, declared a World Cultural Heritage site by the Unesco. 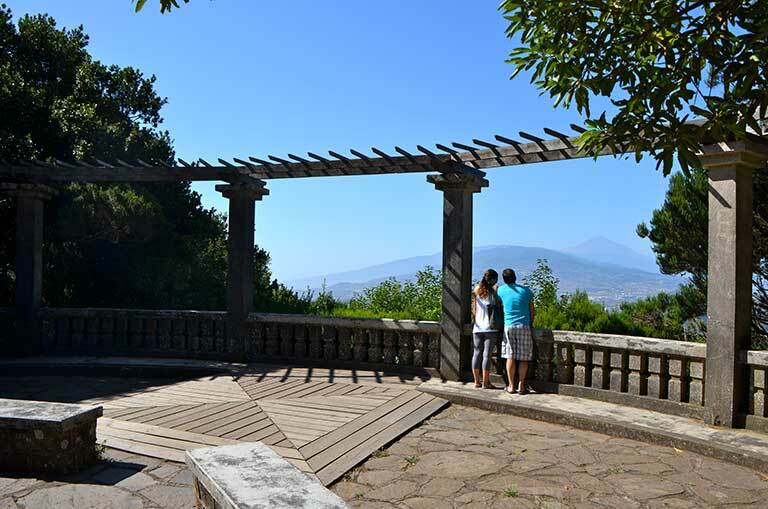 At La Cruz del Carmen you will have the opportunity of seeing the Visitor Centre of the same name, the viewpoint, from where you have magnificent views of the city of La Laguna, and experience the Sendero de los Sentidos (Footpath of the Senses). 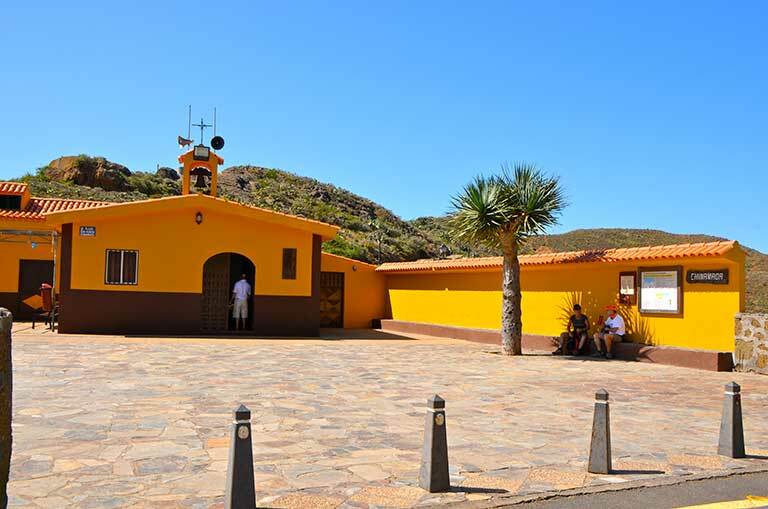 You can also visit the chapel and the Virgen de la Milagrosa. 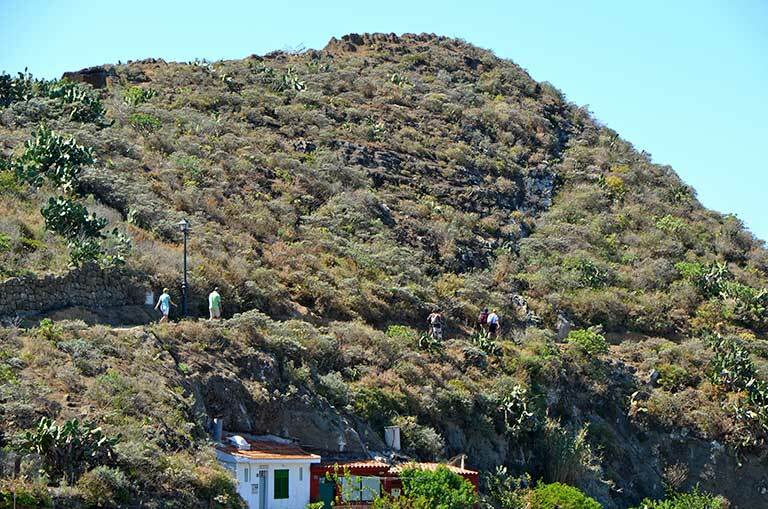 At this stop, you learn about Anaga in a very special manner; you can travel footpaths and ancient trails, discover the textures, the colours and smells of the evergreen forests and enjoy the richness and beauty of the scenery of this area of Anaga. 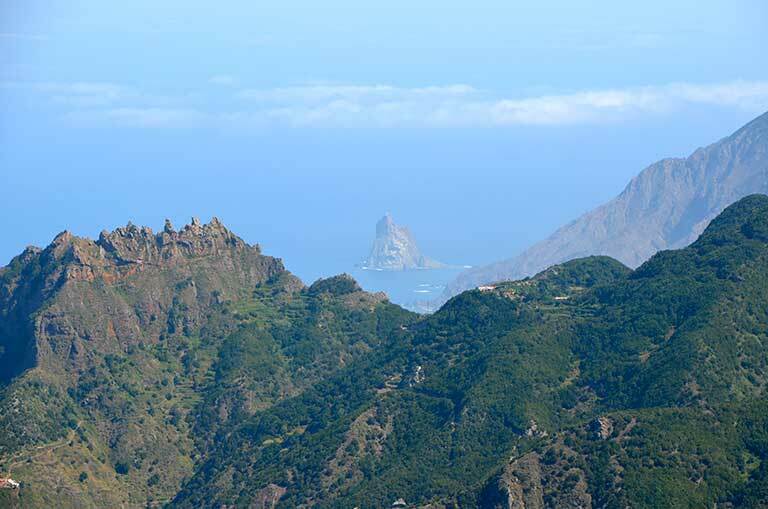 From the Pico del Inglés viewpoint the views of the mountains and valleys of the Anaga massif and of its Rocks emerging from the ocean are spectacular. 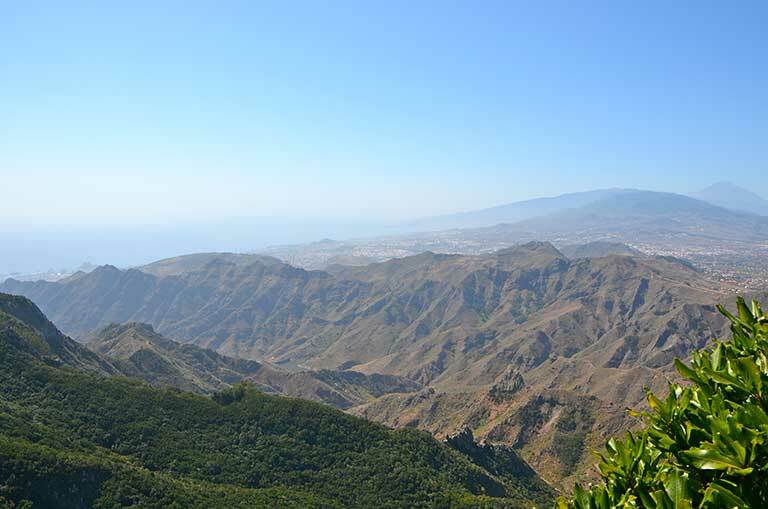 Practically suspended above a ravine, its advantageous location allows you to see parts of the city of Santa Cruz and the Island of Gran Canaria too. 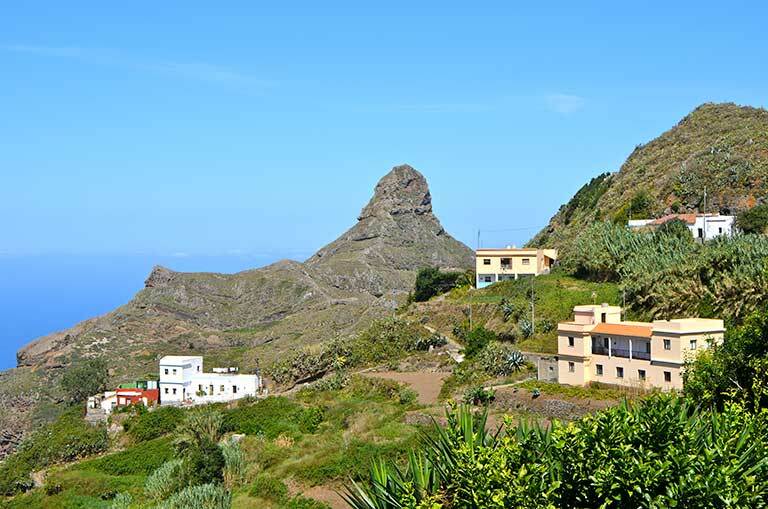 Taborno is one of the many hamlets in the Parque Rural de Anaga which maintains its traditional appearance. From here a path sets off that takes you to the rock of the same name and that lets you explore its lovely scenery. Chinamada is an ancient hamlet that in past times was inhabited by the guanches. Of the caves that served as dwellings for the aborigines, there are still some thirty that have been converted into cave dwellings, of great ethnographic interest. The caves are still inhabited to this day. 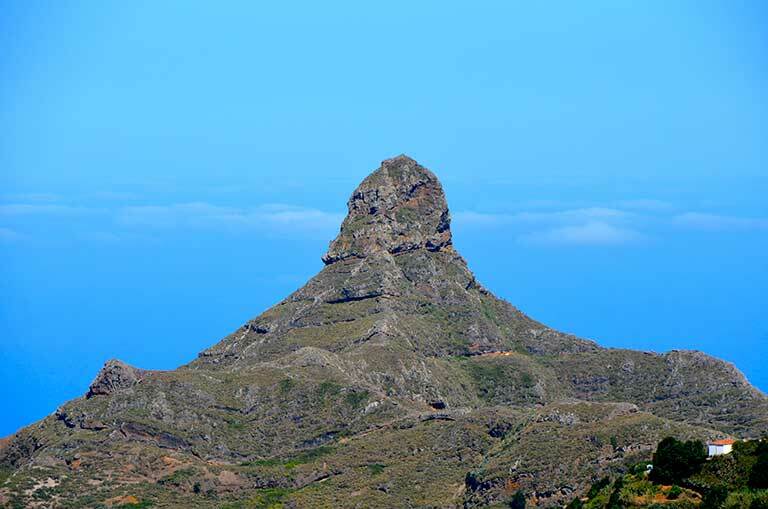 Establishment chosen by the Tenerife Tourist Board. 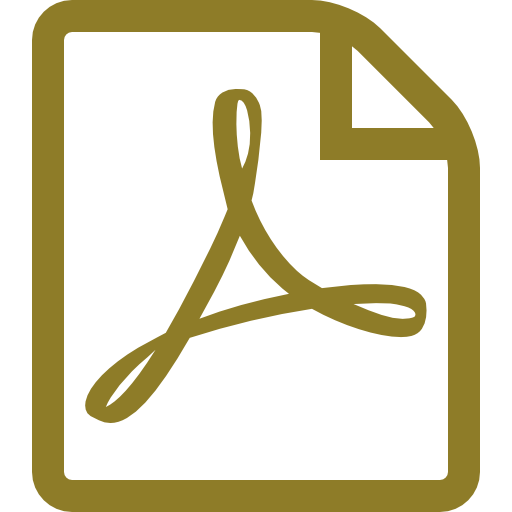 Opening times: - June: Mondays from 12:00 to 17:00; from Tuesday to Sunday from 12:00 to 23:00 - August: closed for holidays Rest of the year: from Tuesday to Sunday from 12:00 to 23:00 Closed Mondays. 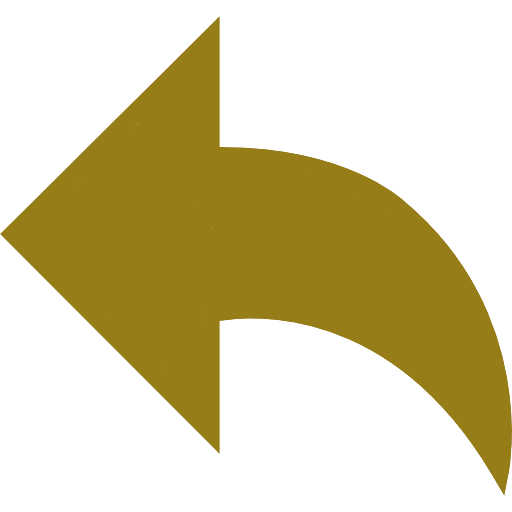 Dirección:Avenida Marítima, 1. Punta del Hidalgo. La Laguna. Dirección:Camino La Costa (Coast Road) Valle Guerra. La Laguna. Dirección:Camino De los Mohos, 8. Tejina. La Laguna. Dirección:Main road Las Mercedes, km. 6. La Laguna.